Bob Russell wrote for vaudeville, worked as a copywriter, and published his first song in 1939, introduced by Helen Forrest with Benny Goodman. His collaboration with Duke Ellington produced the standards “Do Nothin’ Till You Hear from Me” and “Don’t Get Around Much Anymore” (1943) and “I Didn’t Know About You” (1944). Russell also wrote lyrics for several foreign compositions, all number one hits. “Frenesi” (Alberto Dominquez), a 1940 collaboration with Ray Charles, belonged to Artie Shaw. “Maria Elena” (Lorenzo Barcelata) was popularized by Bob Eberly with Tommy Dorsey (1941). “Brazil” (Ary Barroso) made the charts with Xavier Cugat and Jimmy Dorsey (1943) and appeared in several movies. Of Ernesto Lecuona’s many popular compositions, Russell supplied lyrics for “Taboo” and “Babalu” (1941), a hit for Cugat and later, Desi Arnaz. With Carl Sigman he had hits with “Ballerina” (1947), a Vaughan Monroe favorite, and “Crazy He Calls Me” (1949) written for Billie Holiday. “You Came a Long Way from St. Louis,” with John Benson Brooks (1962), enjoyed a second life with the 1959 Peggy Lee/George Shearing recording. “No Other Love” (1950), based on a Chopin etude and written with Paul Weston, was a hit for Jo Stafford. Kay Starr made a splash with “Half a Photograph” (1953), written with Hal Stanley. And the fairly obscure “Circus,” written with Louis Alter (1949), was recorded by Tony Martin, the Four Freshmen, and a handful of jazz artists. 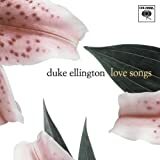 Diana Krall Includes "Do Nothing..."
Billie Holiday Includes "Crazy He Calls Me"
Peggy Lee, George Shearing Includes "You Came a Long Way..."
Duke Ellington Includes "Do Nothing..."